Despite not reaching agreement on a deal or grand bargain to reduce the deficit in the Super-Committee, $1.2 trillion will still be cut from the federal budget. Those cuts will be distributed equally between the military and federal programs other than Social Security and health benefits for the poor and elderly. Slashing government programs is exactly the wrong priority with the economy as weak as it is now. However, the Super-Committee did succeed in appropriately focusing much of the cuts on the bloated military budget, protecting Social Security, Medicare and Medicaid beneficiaries, and blocking Republican attempts to hand out even more new tax breaks to millionaires and billionaires. The automatic cuts mandated by the August debt ceiling fiasco will be devastating to non-defense discretionary programs – a category that makes up only about 15% of the budget and includes education funding, unemployment insurance, veterans benefits, and virtually all federal spending other than the military budget, Social Security, Medicare, Medicaid and interest payments. But literally every other proposal in the Super-Committee was worse. Rather than focusing on the long-term deficit, congress should have tasked the Super-Committee with addressing the actual immediate problems raging in our economy, including disastrous unemployment and the lack of jobs, the ongoing mortgage crisis, and runaway economic inequality. Jobs are the best way to rebuild the economy and to lower the deficit. When people get back to work, they’ll start buying goods and services and paying taxes. And with taxes on the rich at historically low levels, any good budget or deficit proposal should start with ending tax breaks that benefit the wealthiest few. Poll after poll shows that these are the priorities of a huge majority of the American public. Instead, the Super-Committee was headed toward a very bad deal. Democrats on the Super-Committee blocked Republican members’ demands for even bigger tax cuts for the rich coupled with deep cuts to social insurance programs. If those proposals had passed, the result would have been higher unemployment, serious harm to everyday Americans -- and worsening deficits. It isn’t a failure that the Super-Committee didn’t accept the train wreck of bad policy and misguided priorities that Republicans proposed. In today’s Tea Party fueled political environment, it’s something to be thankful for. Read UFE and Responsible Wealth's full letter to the Super-Committee here (PDF). 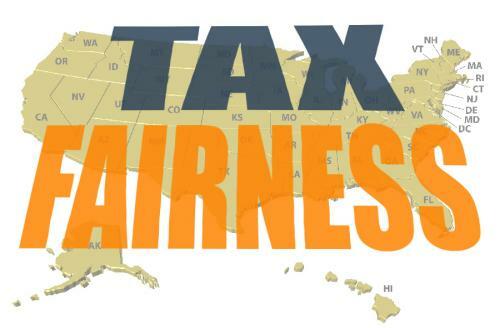 Today, Rep. Jim McDermott released the Sensible Estate Tax Act of 2011, and United for a Fair Economy, Responsible Wealth and our allies have his back. 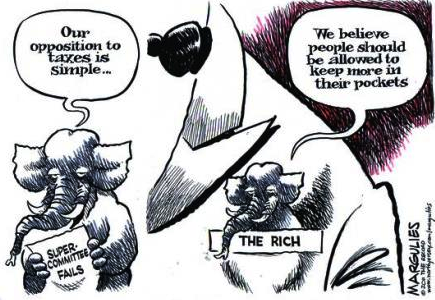 The bill is an effort to raise taxes on the top one percent to benefit the 99 percent... literally. The main thrust of bill H.R. 3467 is to restore pre-Bush era estate tax rates and levels, with a maximum marginal rate of 55 percent and a $1 million exemption. Of course, tax rates and exemption levels are only part of what was compromised by President Bush's hatchet job. Rep. McDermott's estate tax bill would also address various loopholes that have enabled the extremely rich to avoid taxation and amass even more wealth. The estate tax, while not a be all, end all solution to our fiscal crisis, is of vital importance to the U.S. economy. It represents the principle of meritocracy — that hard work, not the reproductive lotto, should be the basis for upward mobility. 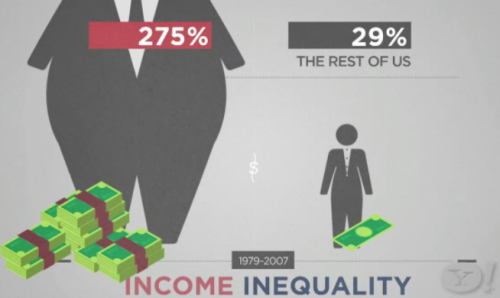 Our country has become one of the most economically unequal and socially unjust industrialized nations. So, the estate tax also represents a fundamental change that needs to take place—the reduced concentration of wealth, and thus, political power in the U.S.
As flawed as our political system may be — as much as I sometimes wish we could replace it all together — it's still important to elevate truly progressive policies that arise in that system. Too often, such policies don't ever see the light of day. For those of you who think our economy is in disrepair and want to support a concrete solution, this is one of 'em. Become a pro-estate tax advocate, and speak out as constantly and publicly as you're able. Talk about it to your friends, families and colleagues. Share this link on your social networks, and write your local media. Hammer your senators and representative with a message that you want the wealthiest among us to pay more to protect the common good of our country. Tell them you support a strong estate tax. There are two ways that you can get involved right now. Add your name to our sign-on letter to the Super-Committee (details below), and please forward the letter to anybody that you think might be interested, especially upper-income taxpayers, investors and wealthy individuals. Register for an important update on the Super-Committee with Senator Al Franken put on by our friends at the Coalition for Human Needs. You can join this emergency update next Wednesday, November 16 at 4:00 PM by phone or online. Register for it now. The update will cover Super-Committee negotiations that include disastrous plans to reduce tax rates for millionaires, while cutting Medicaid and other essential programs, and making people wait till they are 67 to get Medicare. This doesn't have to happen. Find out more on Wednesday in the 20 minute update. At least half of any spending cuts should made by reducing unnecessary military expenditures. Click here to add your name to the letter today. Some Democrats on the Super-Committee worry that the economy would be hurt if there is no deal. They need to understand that a bad deal is worse than no deal. Hearing from people like you will persuade them to hold firm for a deal that truly benefits our country. That’s why it’s important that you sign the letter to the Super-Committee by Sunday, November 13. People who are not wealthy individuals, investors, and business owners can also sign the letter to show their support. To increase our impact, we will release the letter to the media next week and put media in contact with signers who want to speak out. We’ll also send the letter to all members of Congress before they vote on any package from the Super-Committee. Please make sure to invite people you know to join you in signing the letter. You can also print a copy of the letter and ask friends and relatives to sign it. The taxes we pay lay the foundation for a sound economy and for wealth creation. Tax revenue funds roads and railways, well-educated workers, courts, clean food and water, scientific research, and much more. We all benefit from these vital public systems and structures, which one person can not create alone. A progressive tax system means that people and corporations who have a lot more income pay a lot higher tax rate than the 99% of people who have less income. Right now our federal tax system is only slightly progressive. The tax system became much less progressive after President Reagan changed it. The opposite—a regressive tax system—means that people who have less income pay a higher tax rate; this is how the tax system works in most states. Herman Cain’s 9-9-9 tax proposal is seriously regressive. A truly progressive tax system would mean that we, the 99%, have enough money to fund the priorities we support: educating our youth, paying for health care, allowing seniors to retire with dignity. A truly progressive tax system would mean that the typical person’s tax rate is a lot lower than a very wealthy person’s tax rate. A truly progressive tax system would mean that investing in the stock market is not taxed less than working at a job. A truly progressive tax system would slow the increase in the share of US income after taxes that goes to the 1 percent. A truly progressive tax system would lessen the racial wealth divide. A truly progressive tax system would mean that people with multi-millionaire parents could not inherit more tax-free than a typical worker earns and pays taxes on in a lifetime. A truly progressive tax system would mean that corporations pay a bigger share of taxes. Giant corporations like Bank of America, Verizon, GE, and Exxon would no longer pay zero or shamefully low federal income taxes. A truly progressive tax system would mean our country no longer goes into debt that is held by the same 1% of wealthy people who crashed the economy. 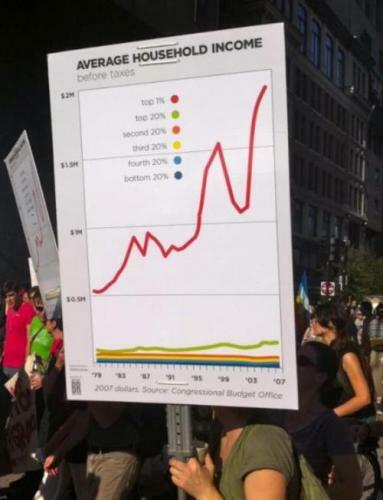 It would mean the 99% are not paying increasing interest on the national debt. How can you work for a truly progressive tax system? Find out here. They are regressive. 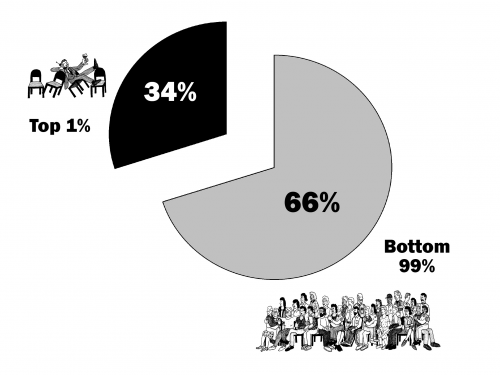 That is, they take a greater share of income from low- and middle-income people than from wealthy people. They don't bring in enough money. Most states face deficits year after year because their tax systems don't generate enough revenue to pay for the public services and infrastructure state residents need and want. They are filled with special interest loopholes and freebies to the powerful and influential and force the rest of us to pick up the slack. They diminish, rather than enhance, economic activity by depending more for revenue on those who are most apt to spend their money in the economy, rather than shelter it to accumulate more. They are not transparent. Corporations that benefit from tax breaks often maintain secrecy so the public rarely knows if their tax dollars are being spent wisely. State tax systems should be progressive, transparent, economically sound and should raise enough money to provide a decent quality of life to all residents. This system overhaul could generate hundreds of billions of dollars to not only wipe out state budget deficits, but also make long-overdue investments in our economy. Occupy for a fair and progressive state tax system. 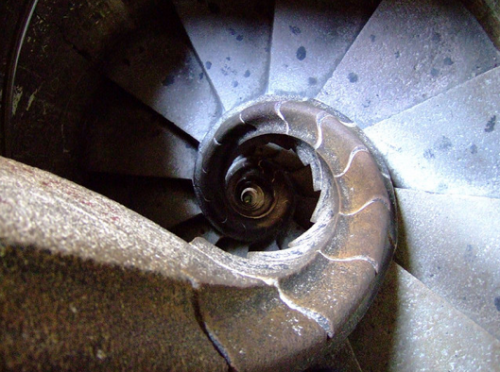 For suggestions on how to get from here to there, see UFE's report "Flip It to Fix It."